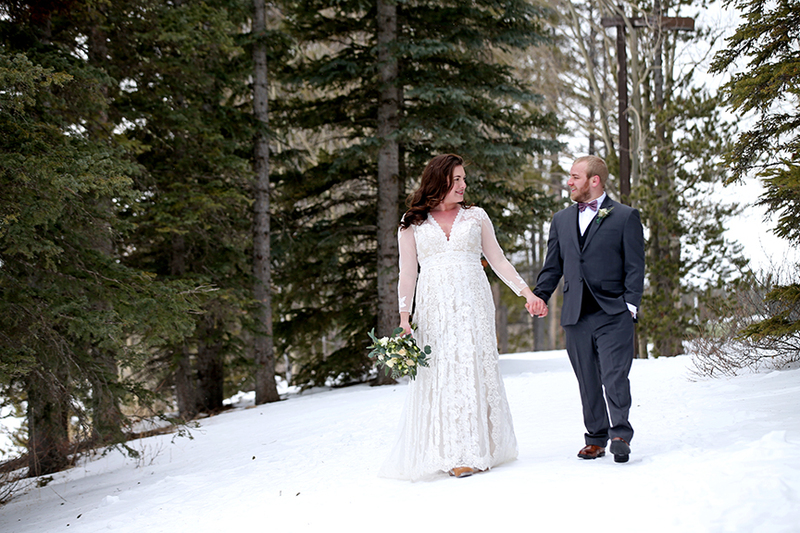 Amanda & Dylan were total sweethearts and we had the best time with them! 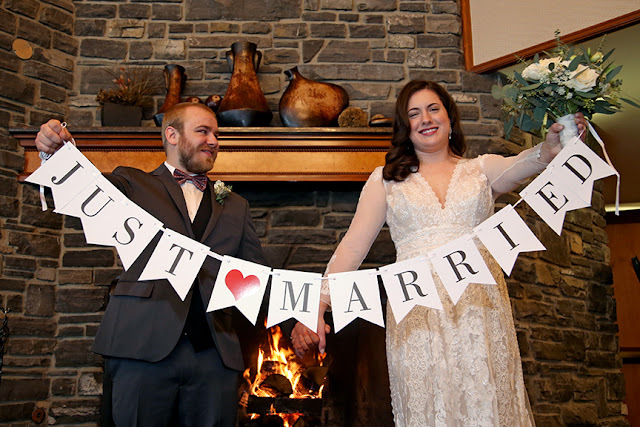 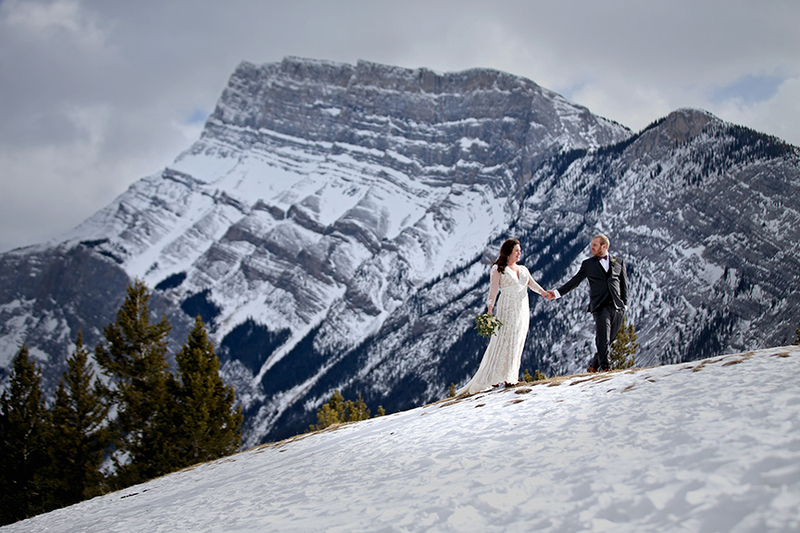 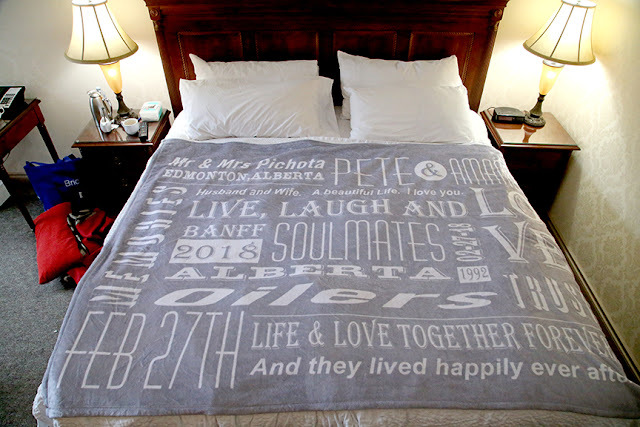 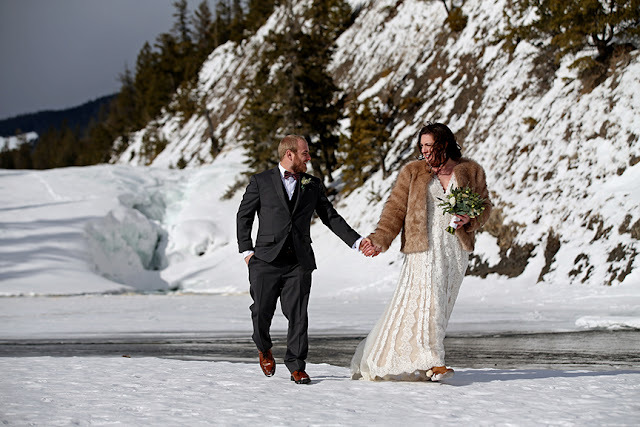 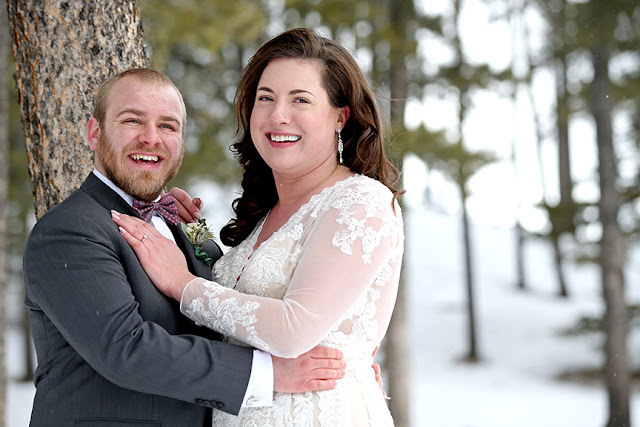 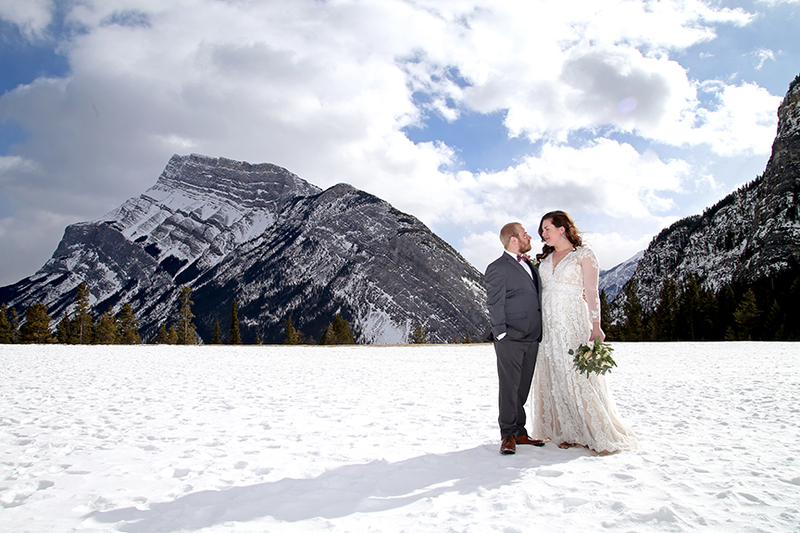 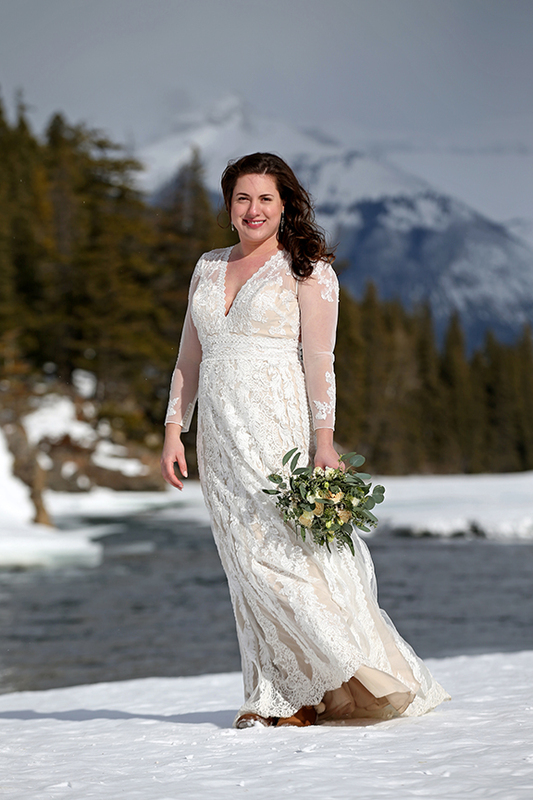 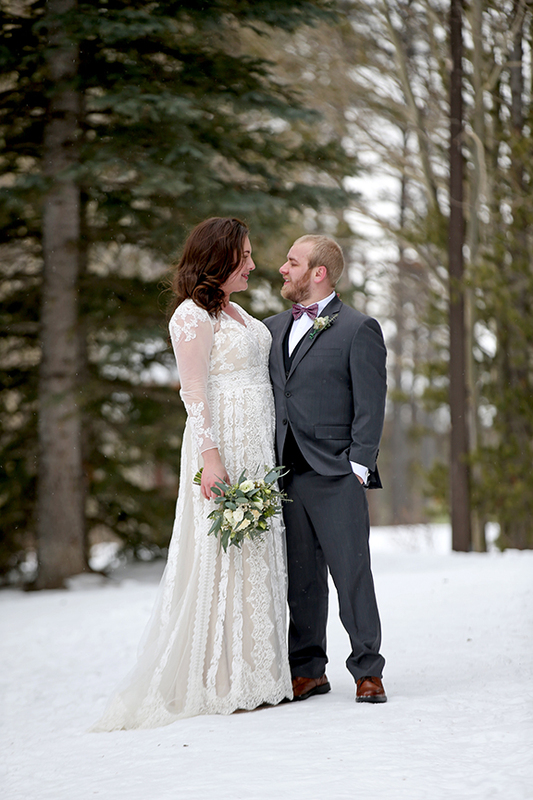 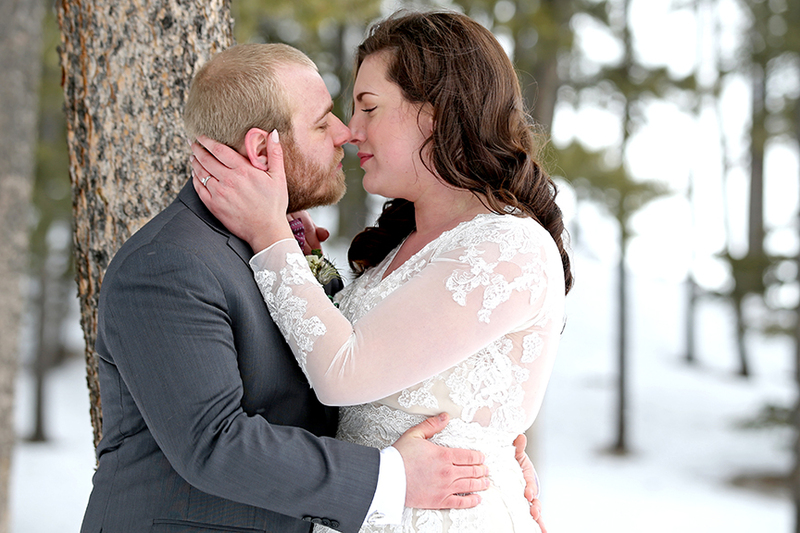 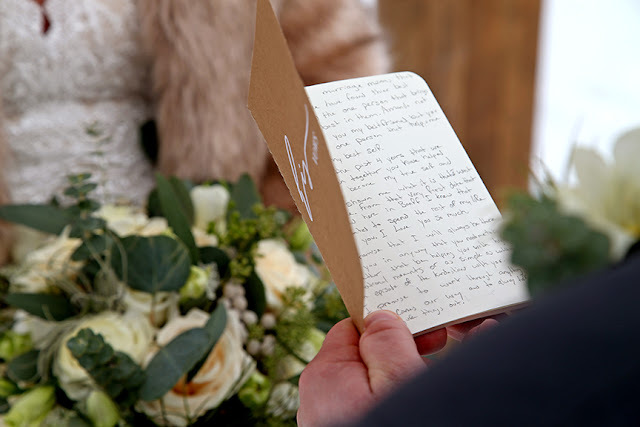 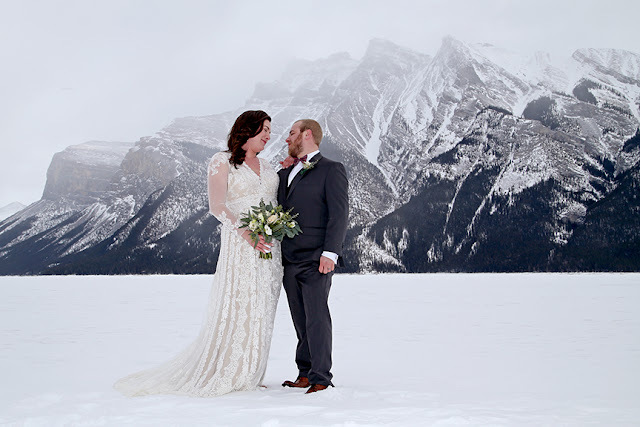 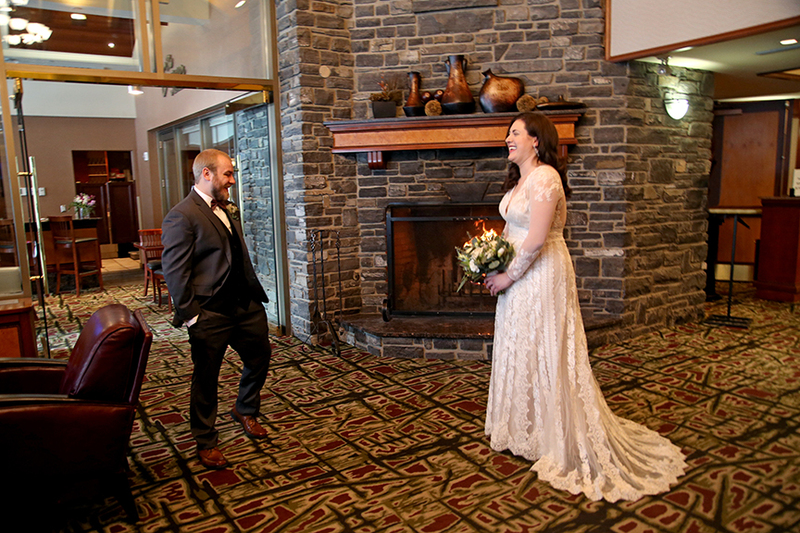 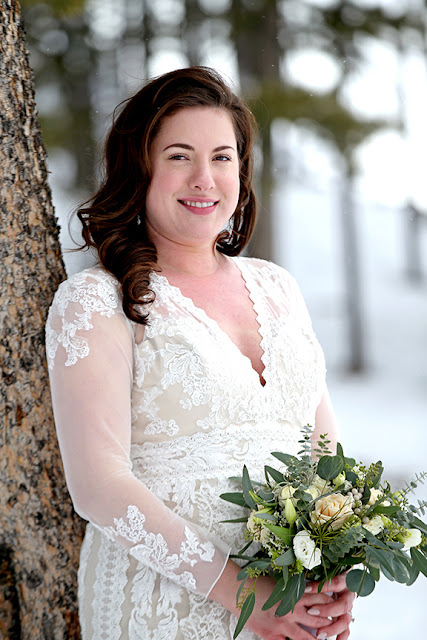 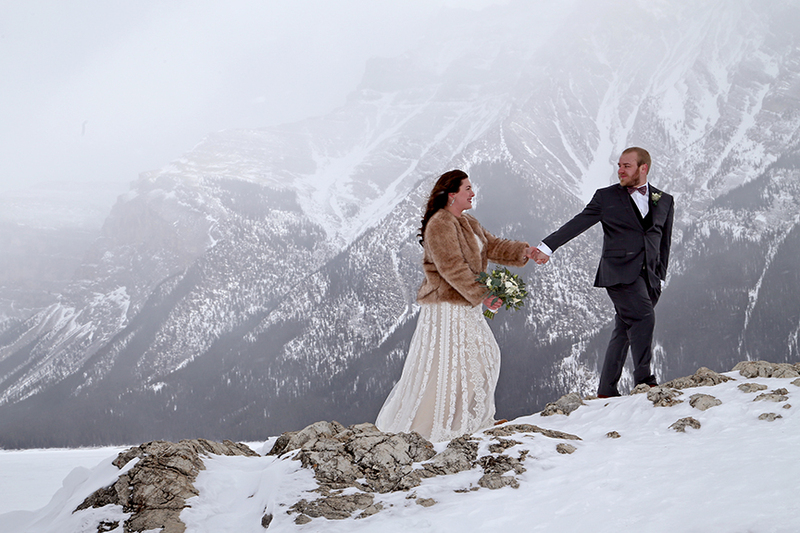 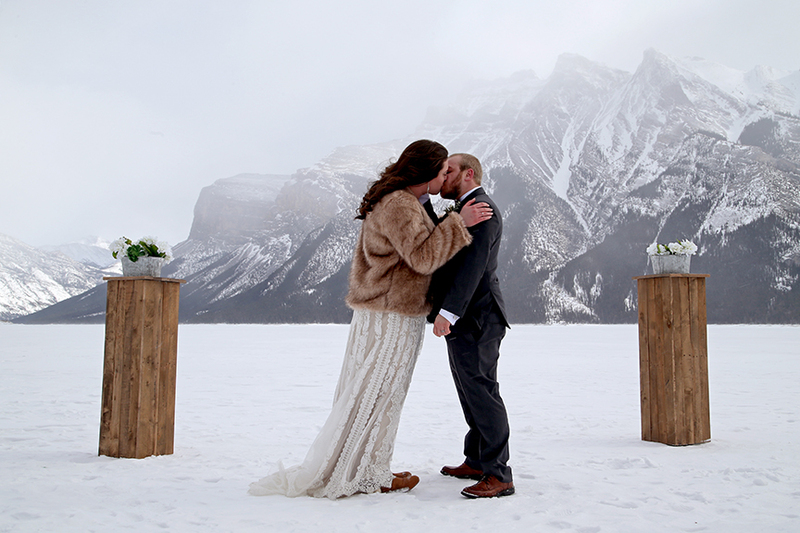 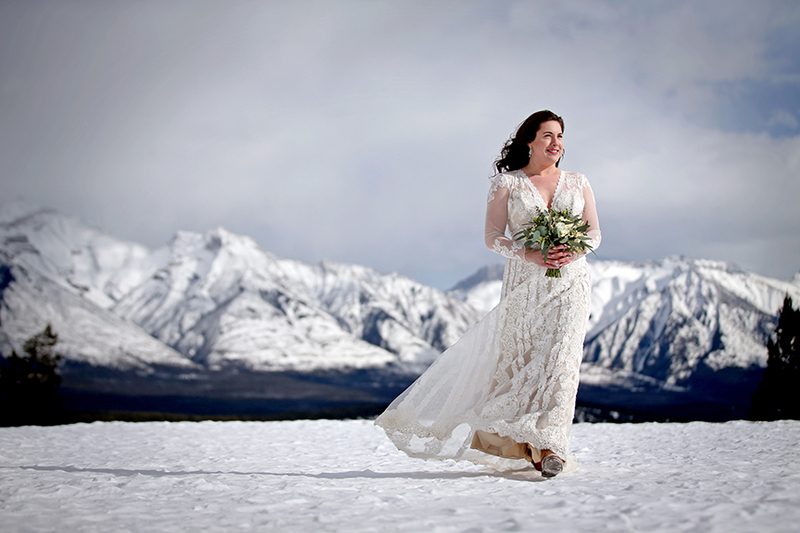 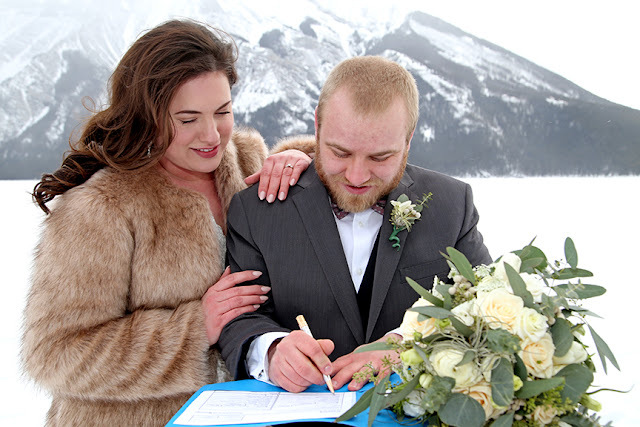 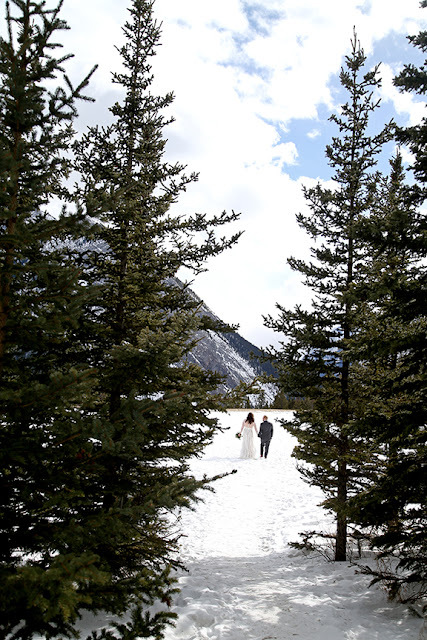 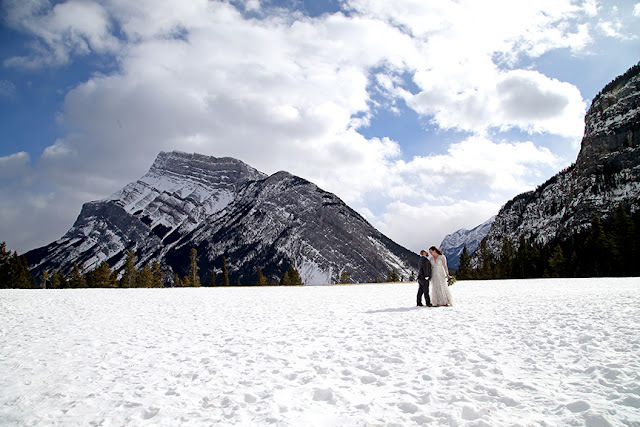 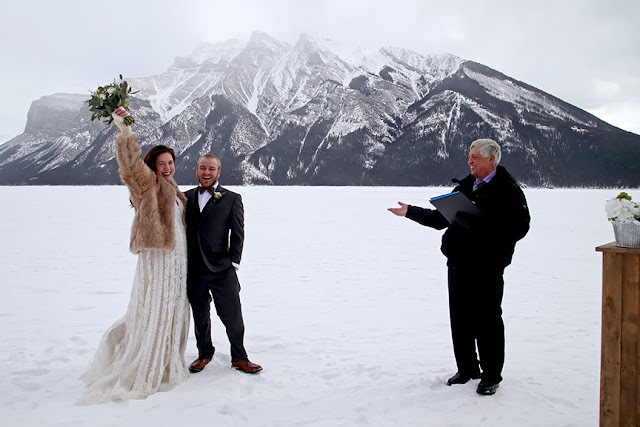 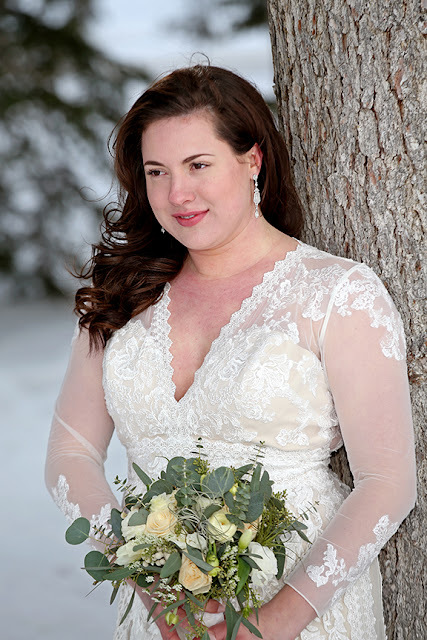 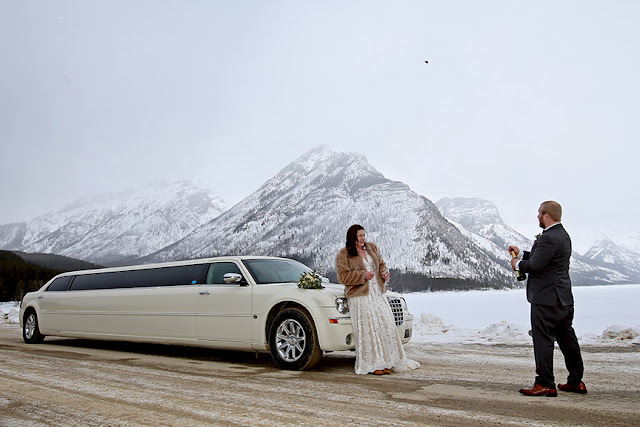 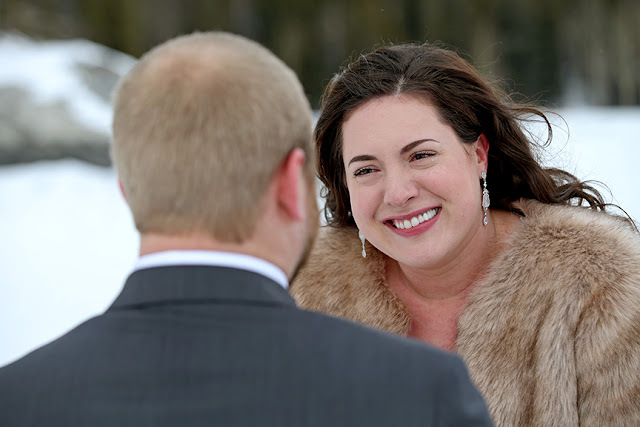 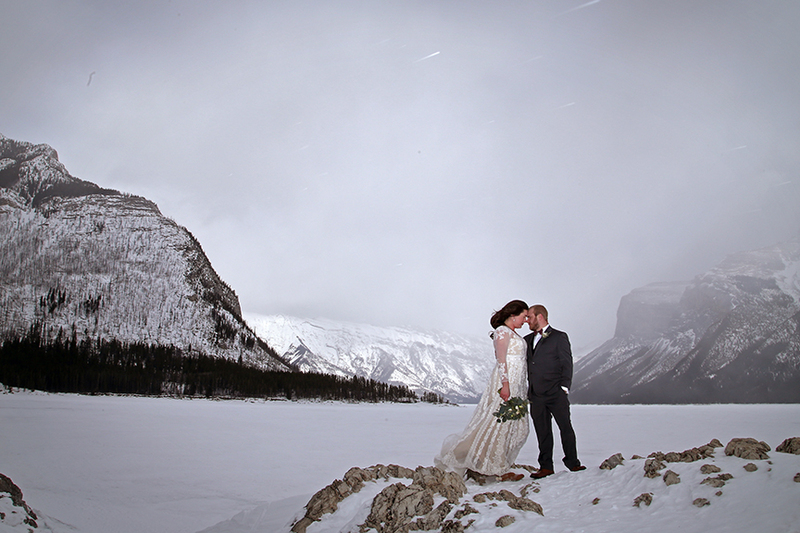 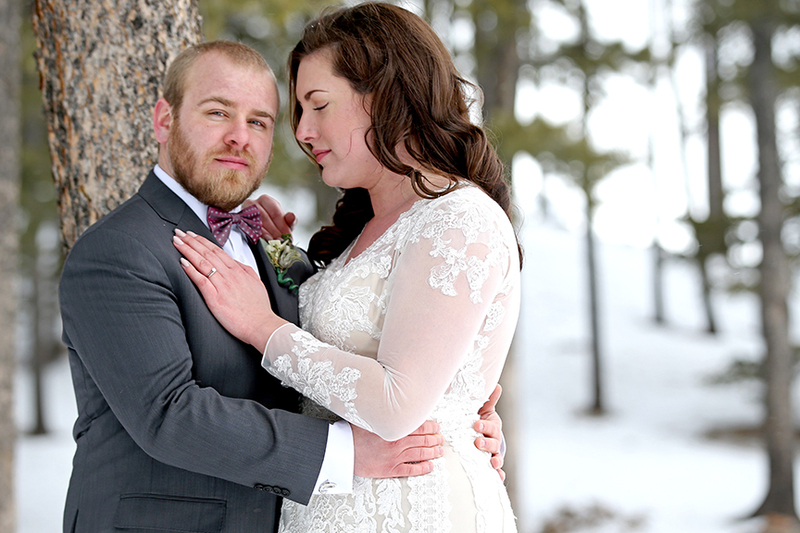 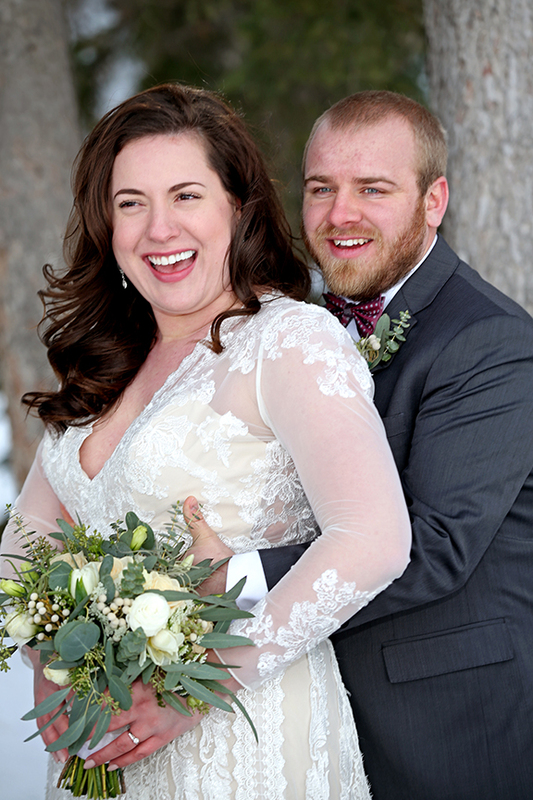 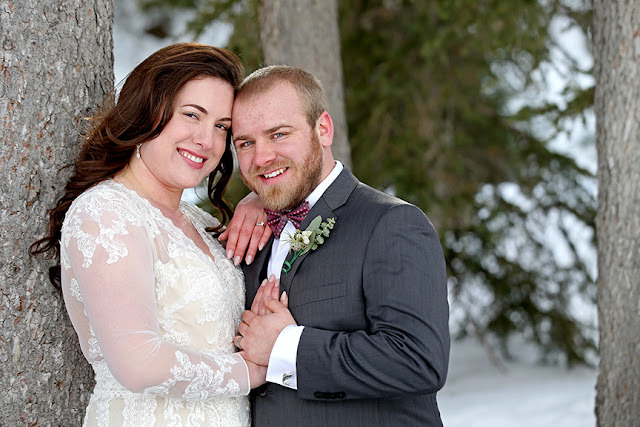 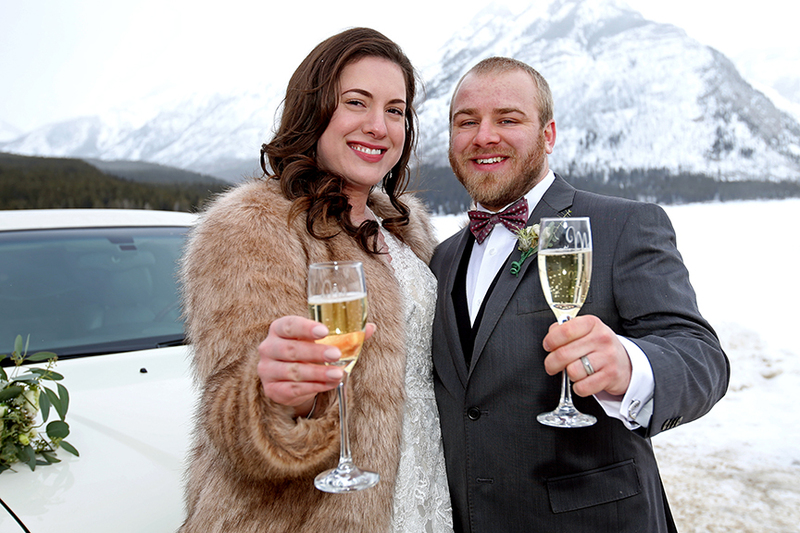 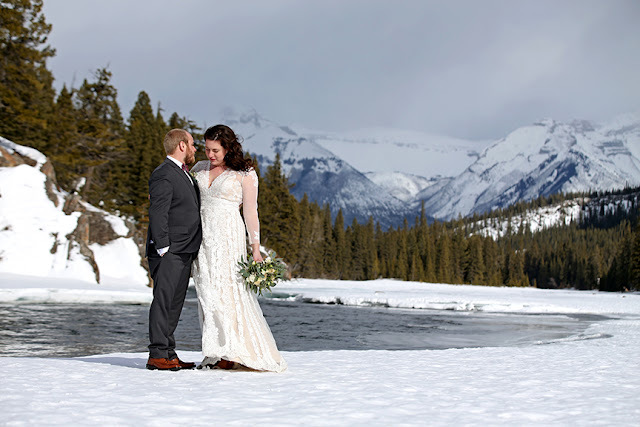 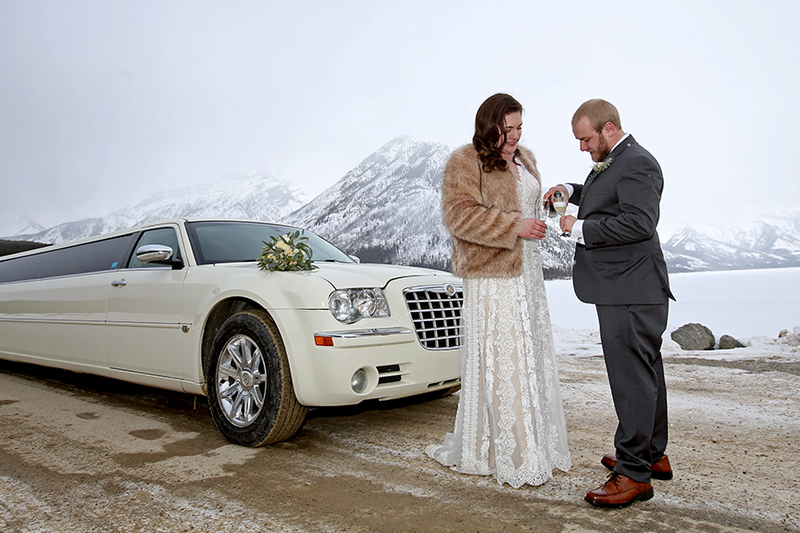 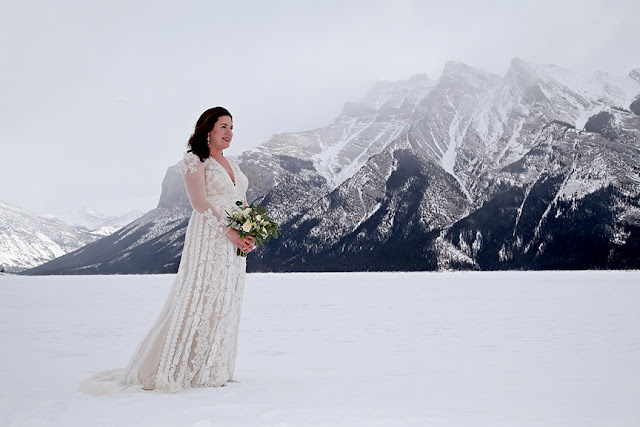 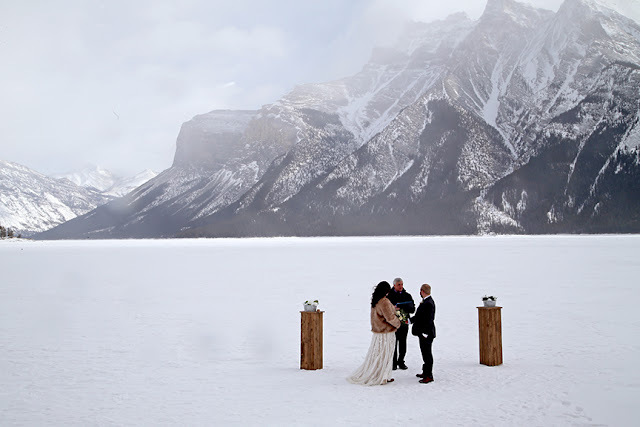 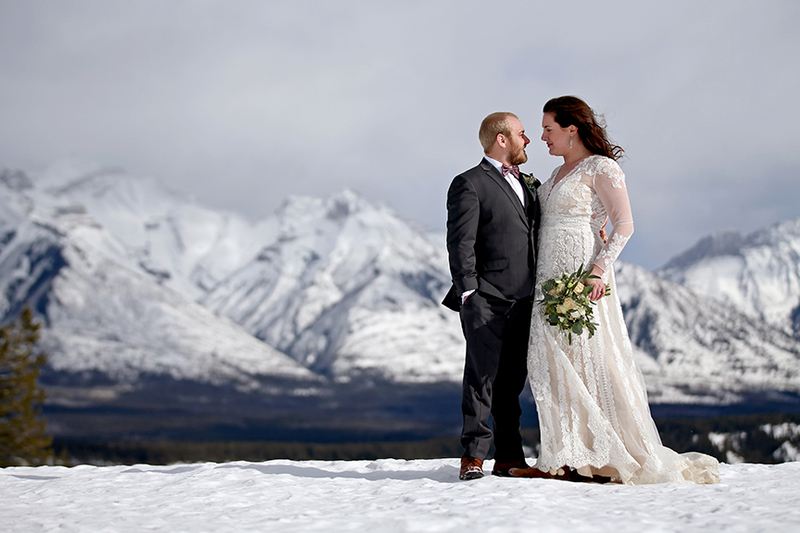 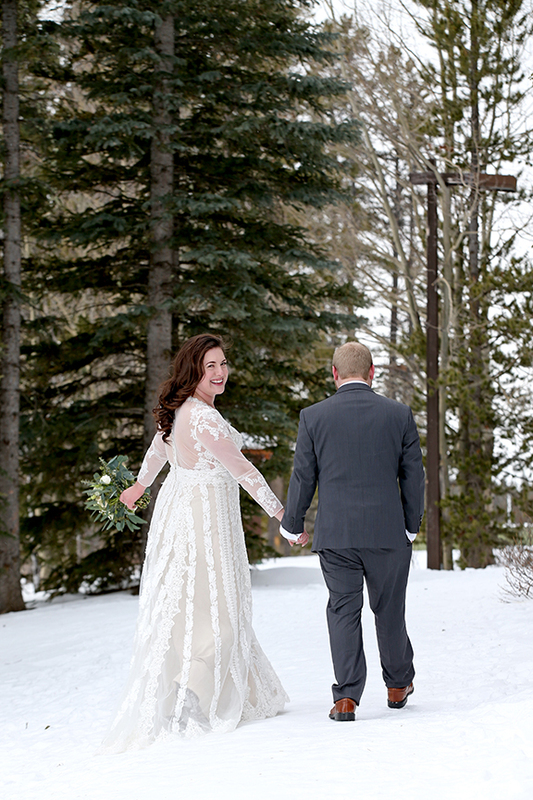 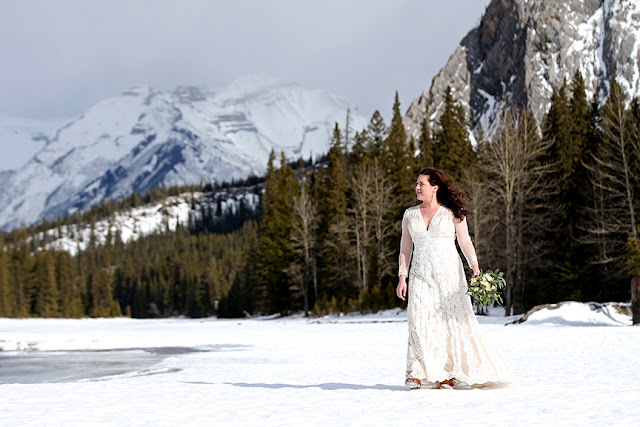 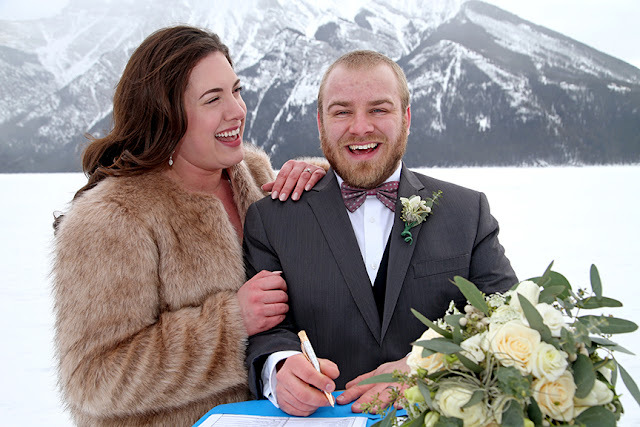 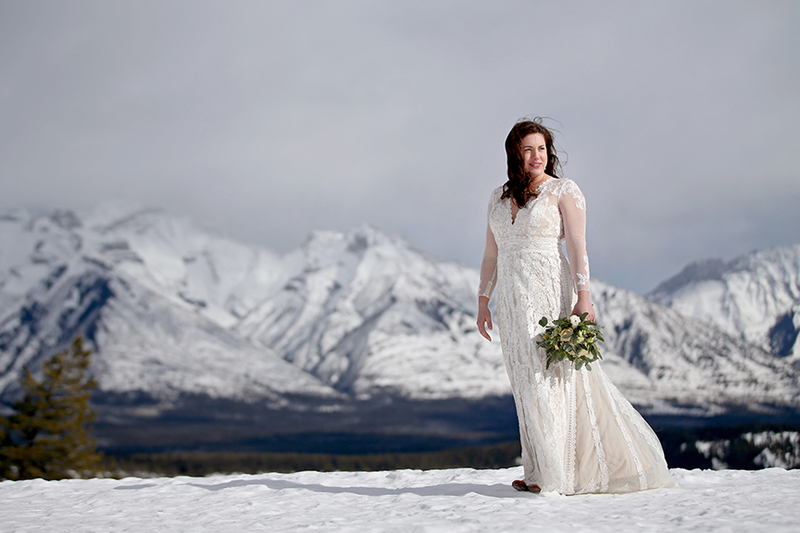 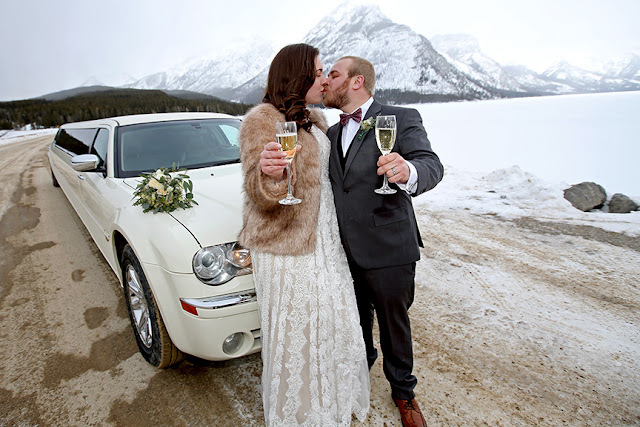 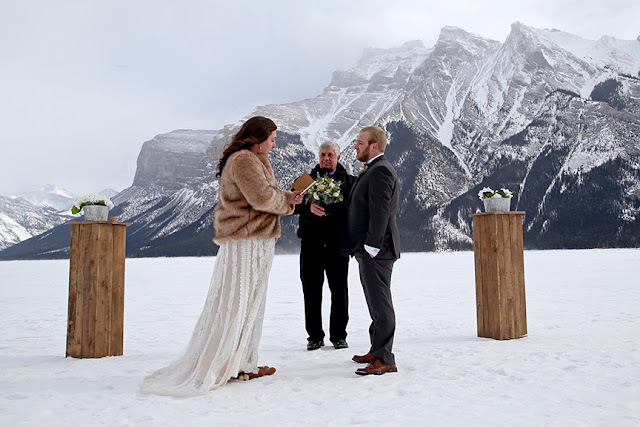 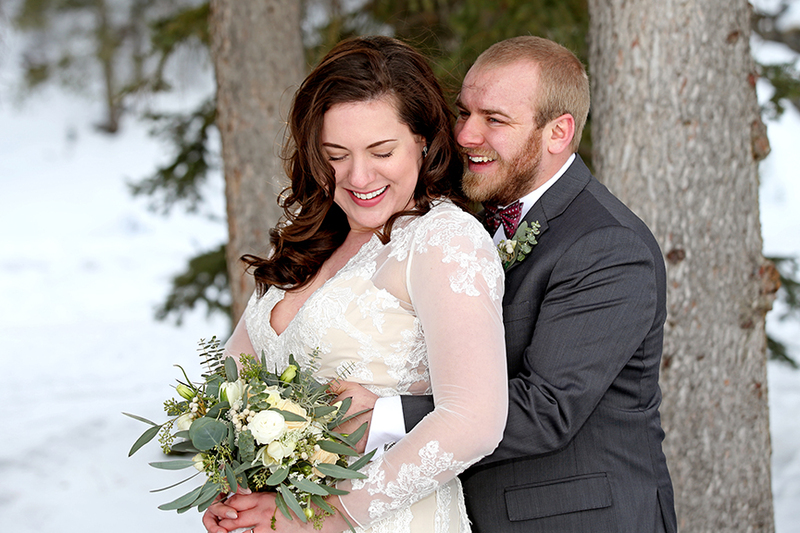 They chose an outdoor Winter elopement wedding in Banff, and after our tour around the mountains they picked Lake Minnewannka to be their ceremony spot. 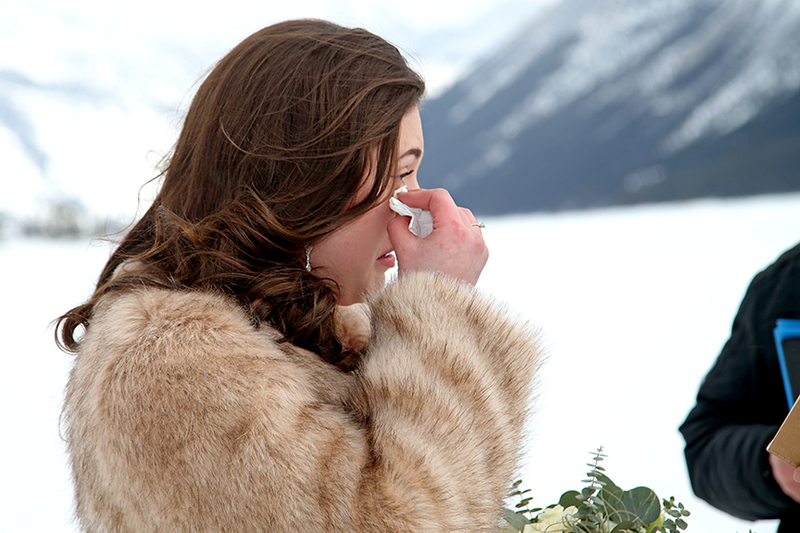 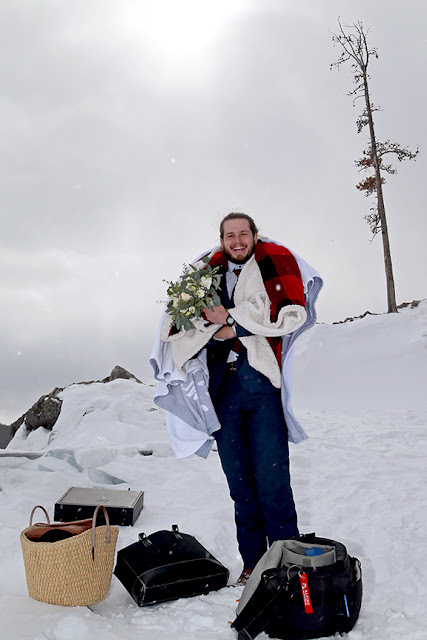 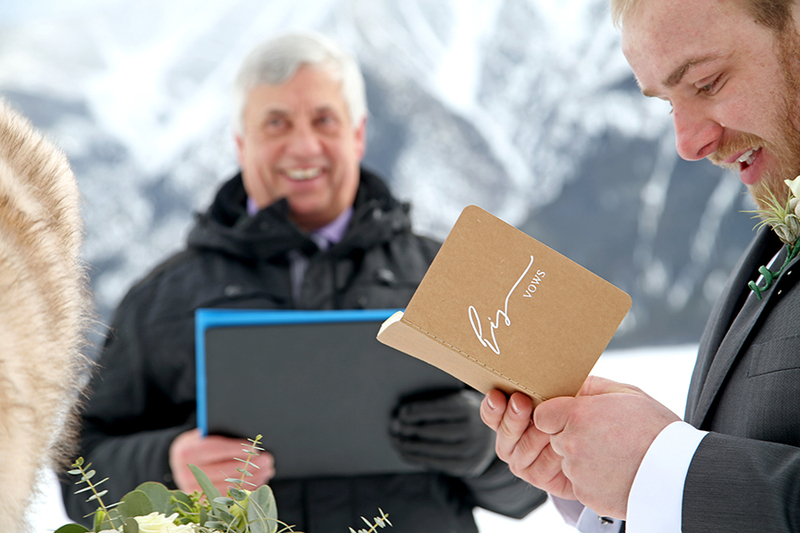 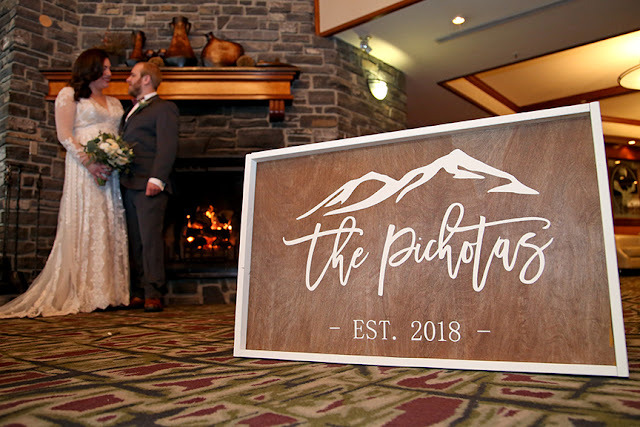 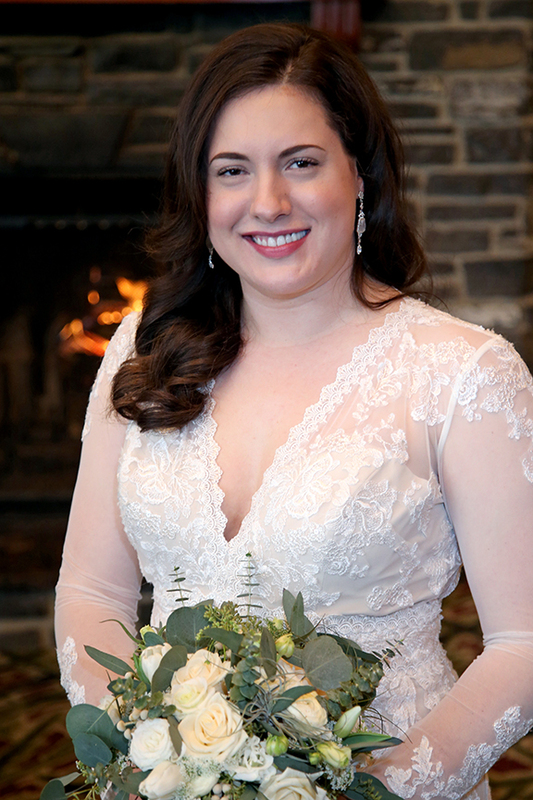 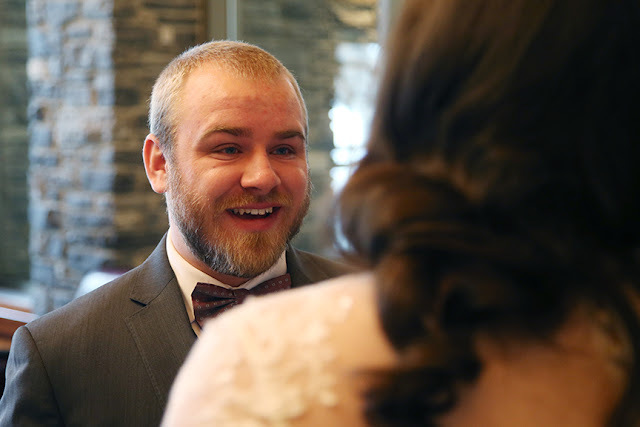 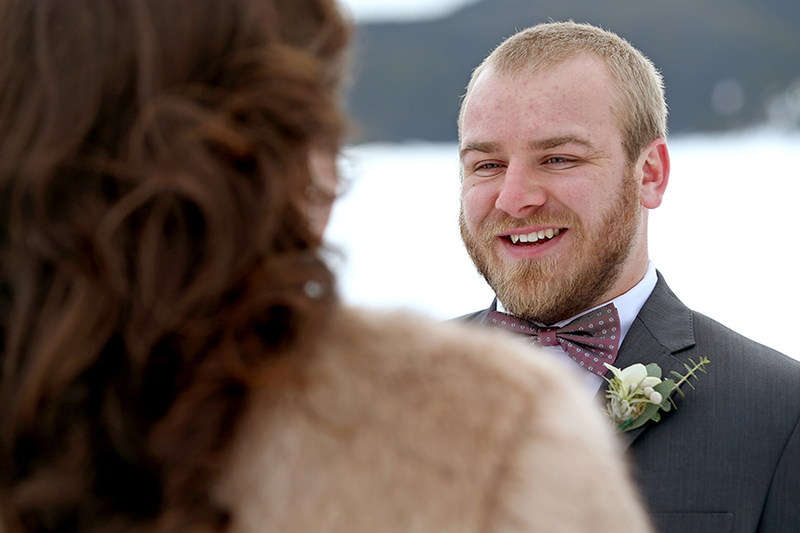 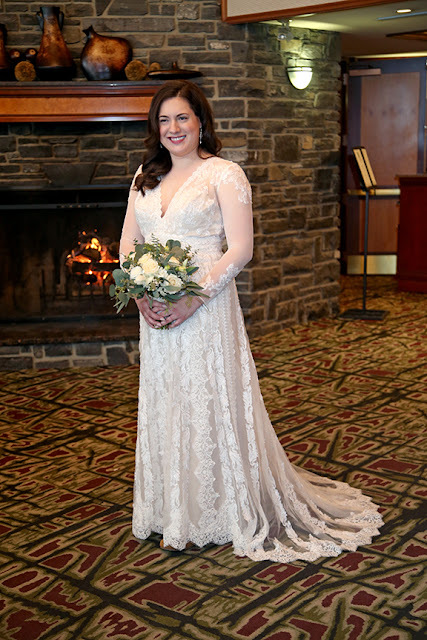 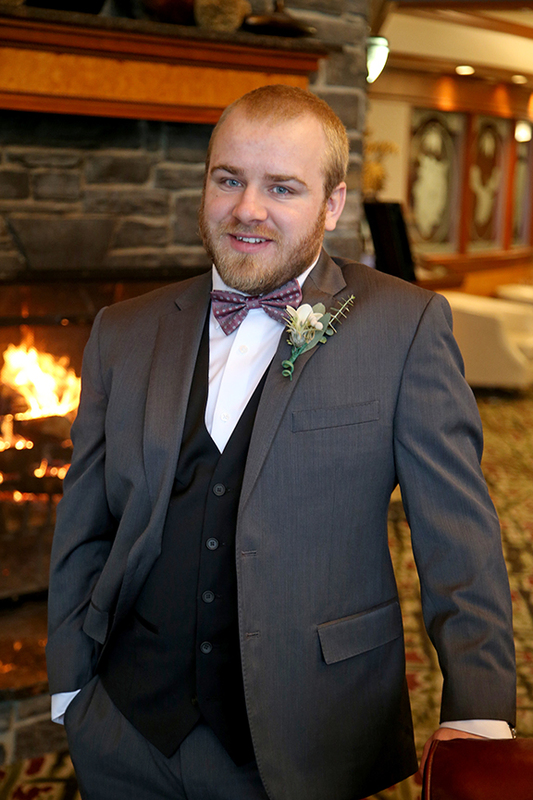 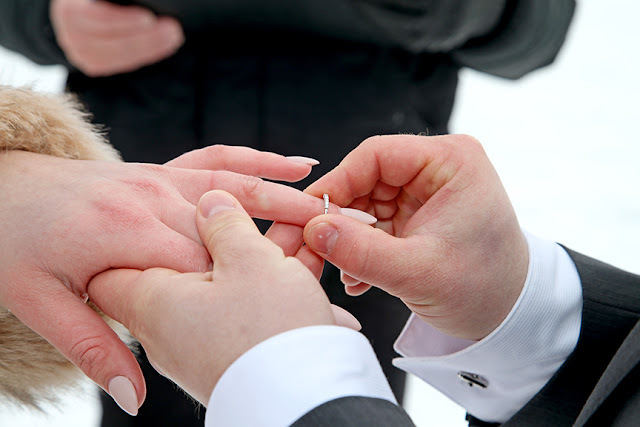 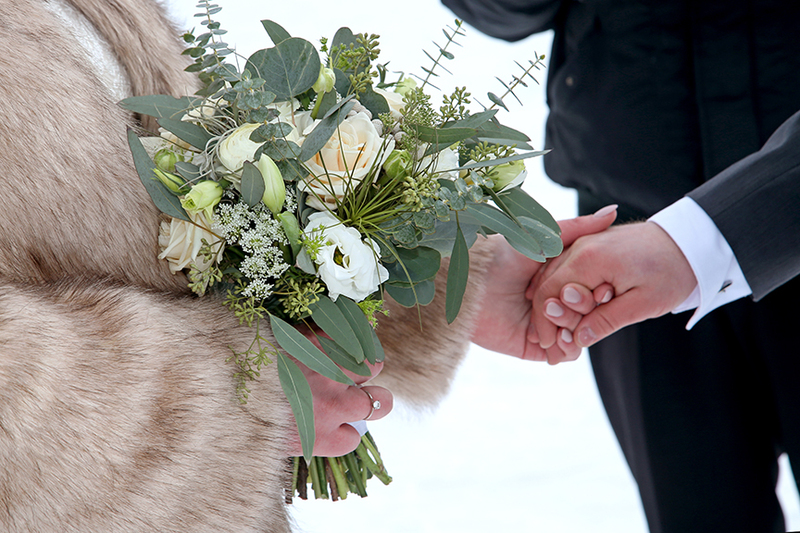 We stood on the frozen lake surrounded by majestic mountains for their beautiful intimate ceremony. It was magical. 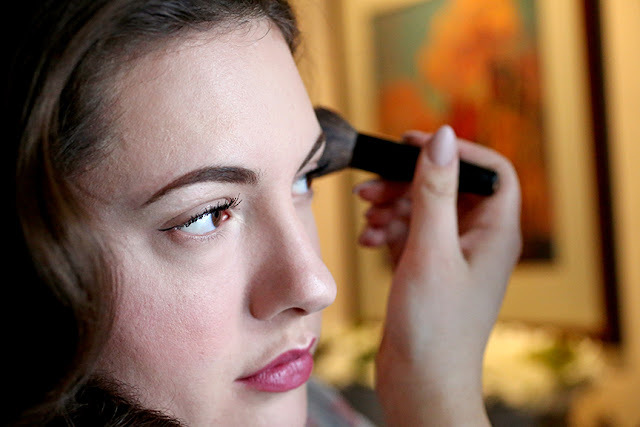 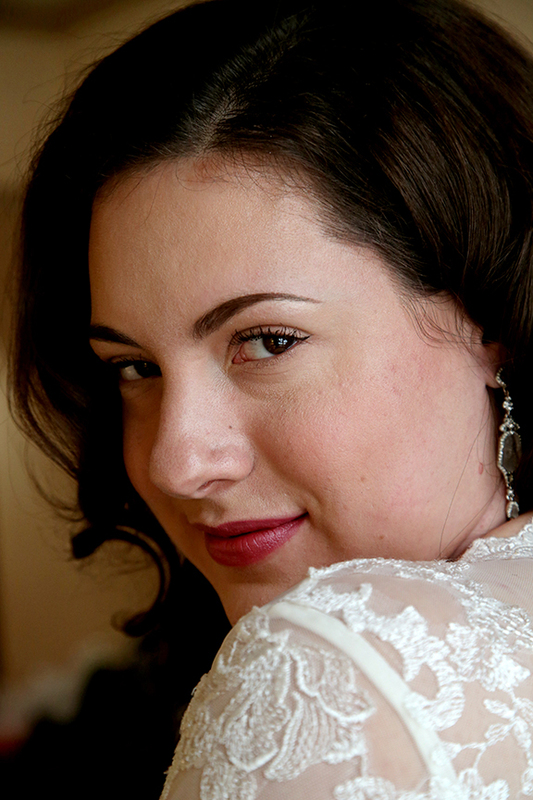 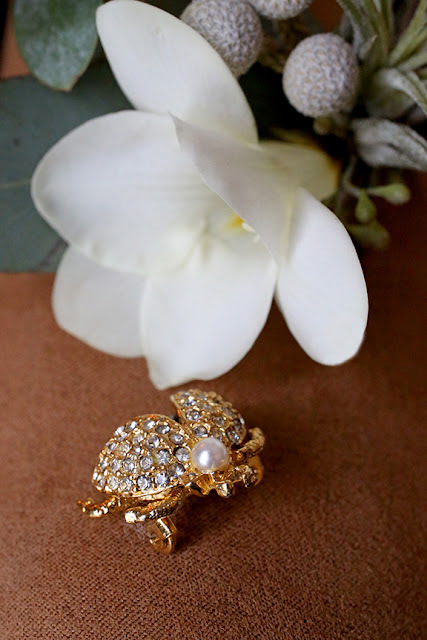 Amanda brought a lot of beautiful 'details' with her, which were really fun to take photos of. 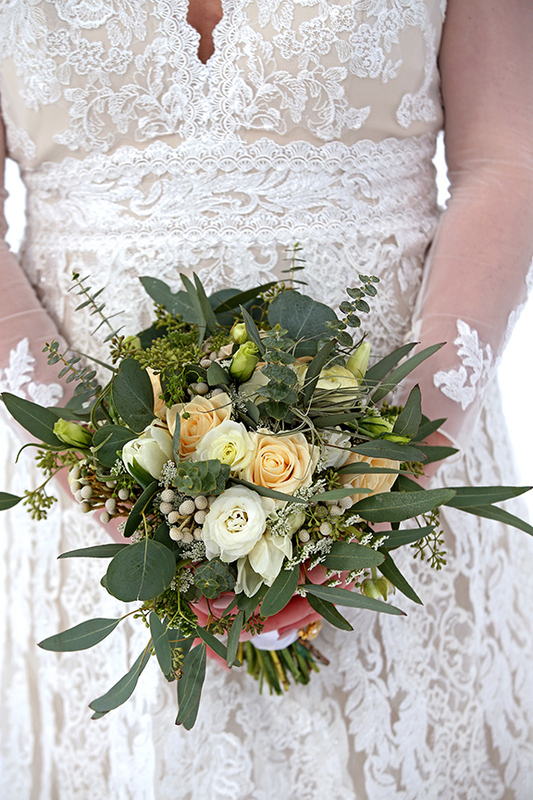 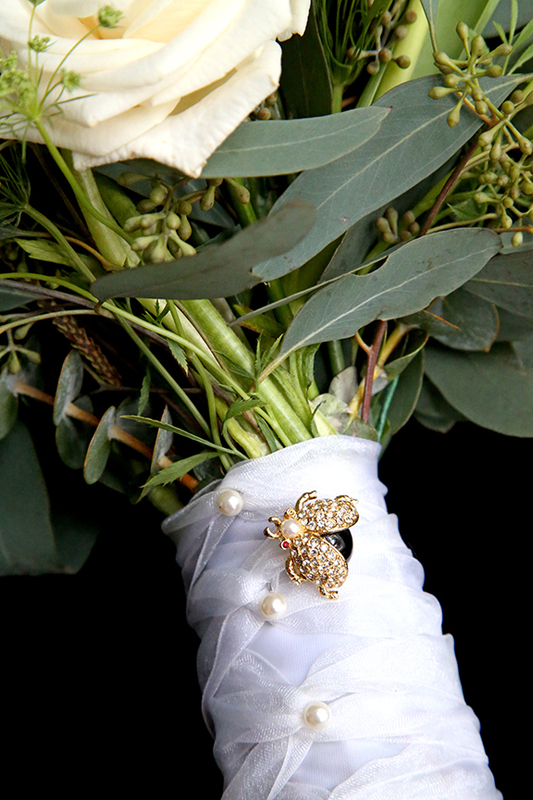 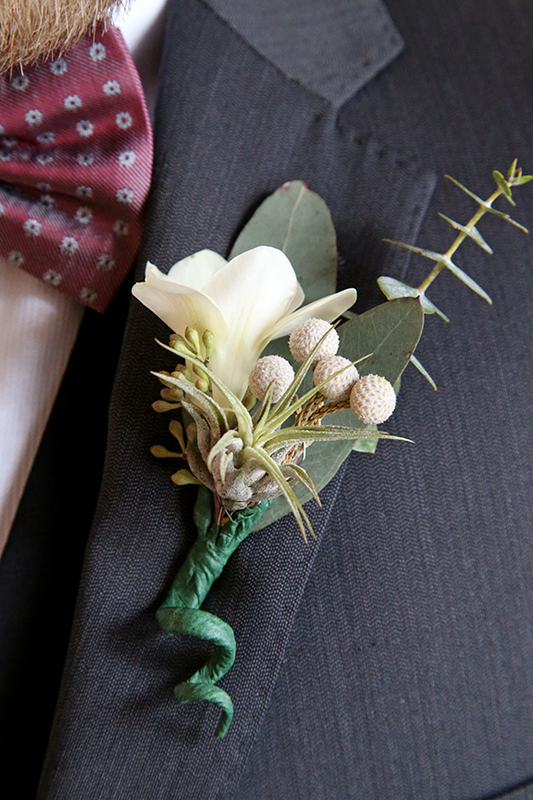 Love Dylan's boutonniere with an Air Plant, very cool. 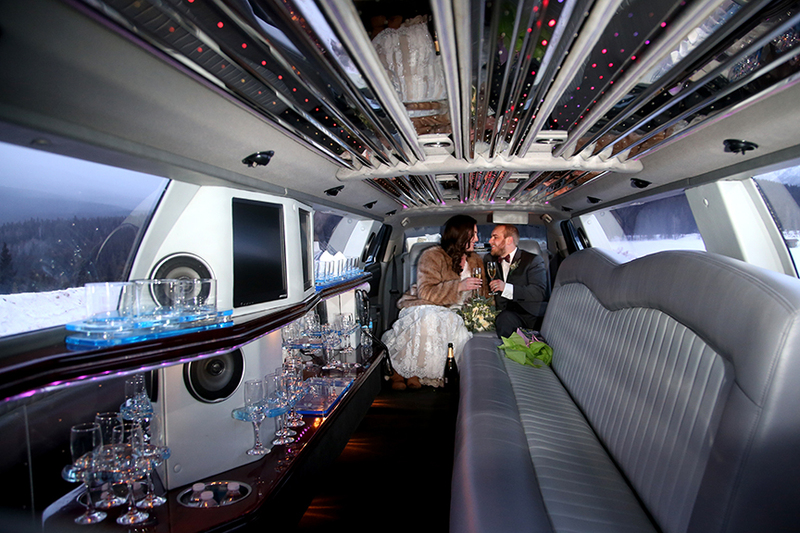 Our limo driver was very helpful! 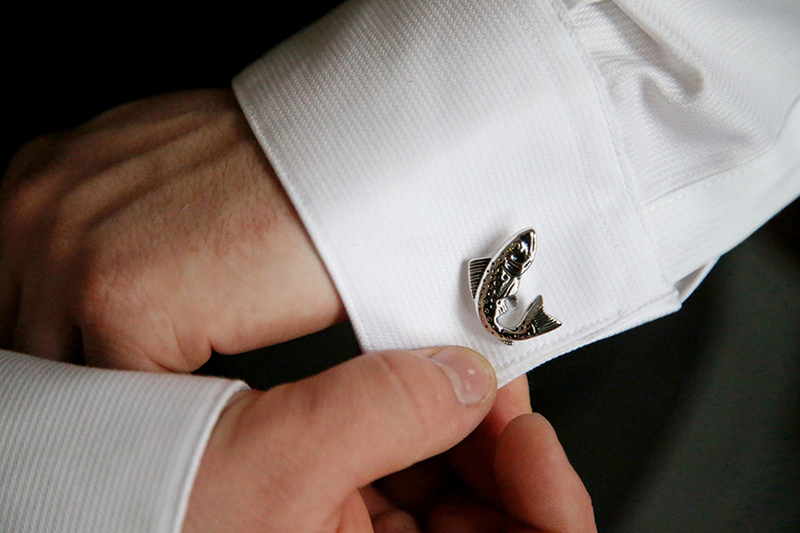 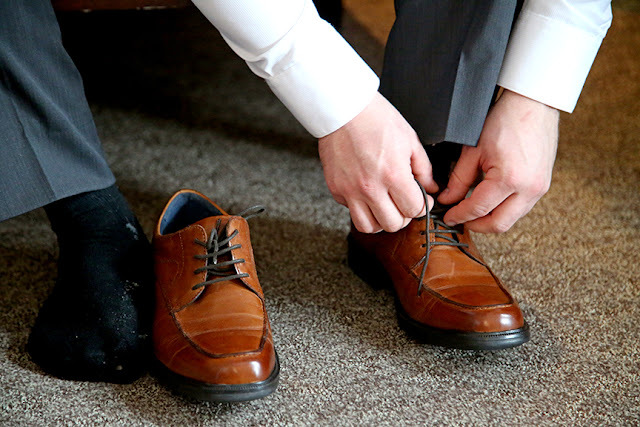 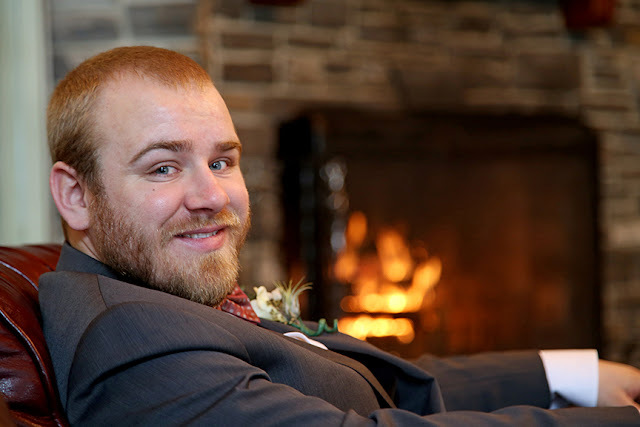 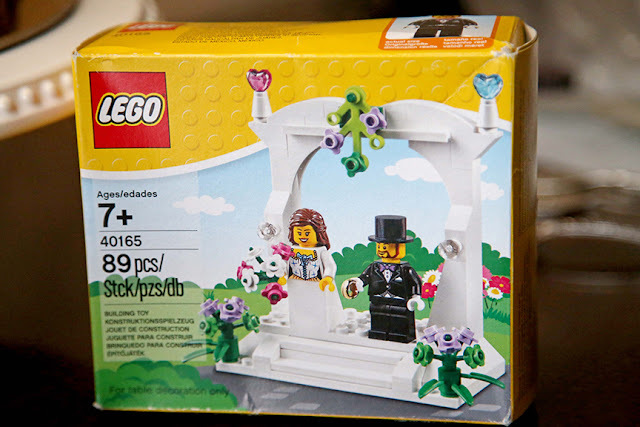 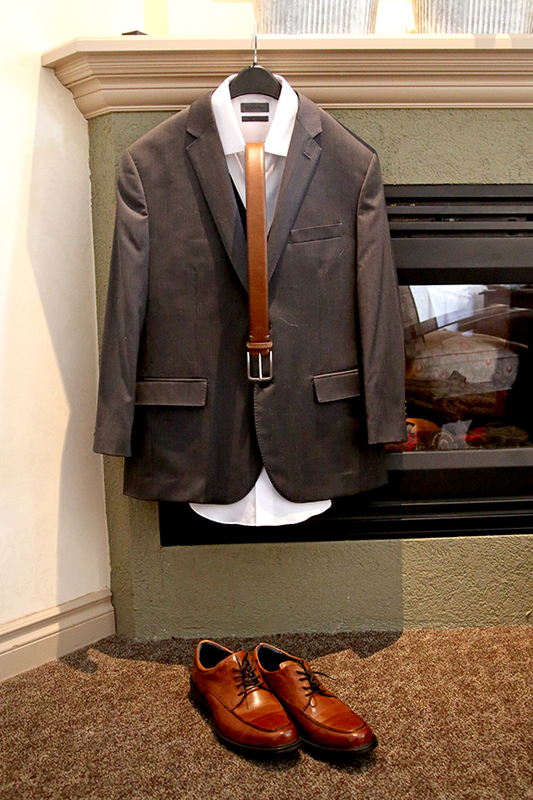 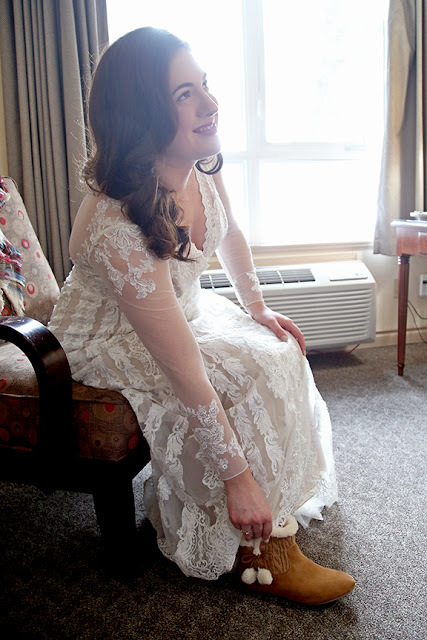 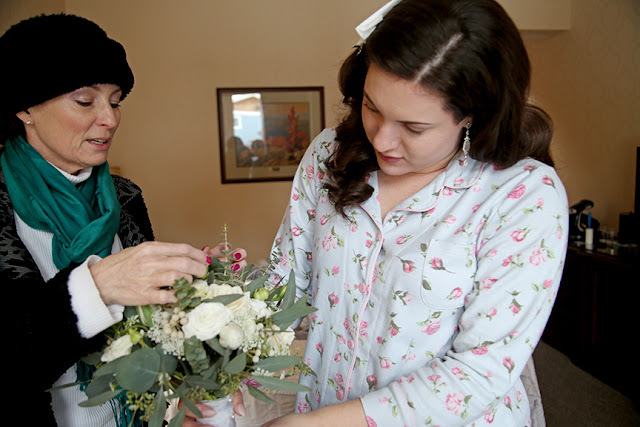 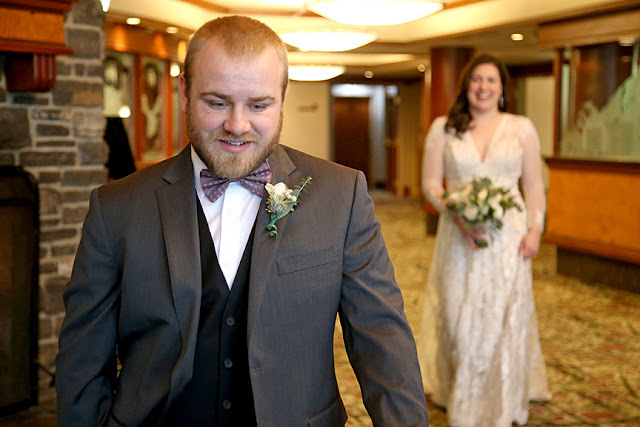 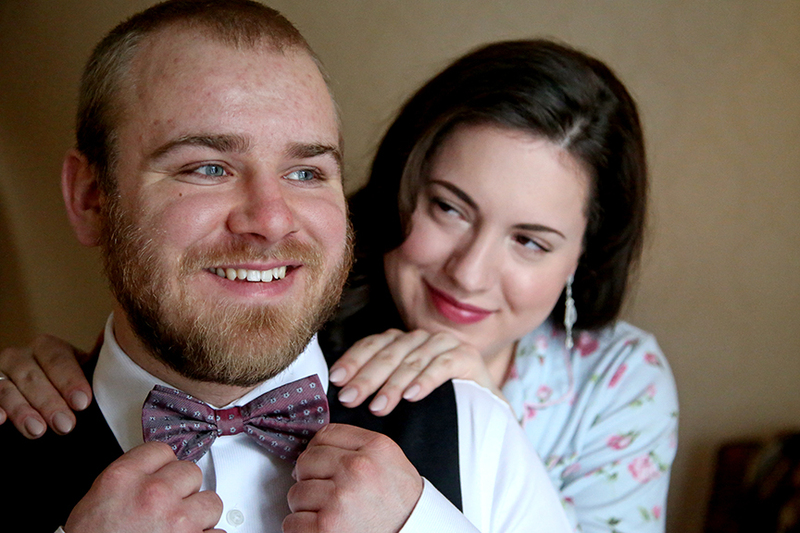 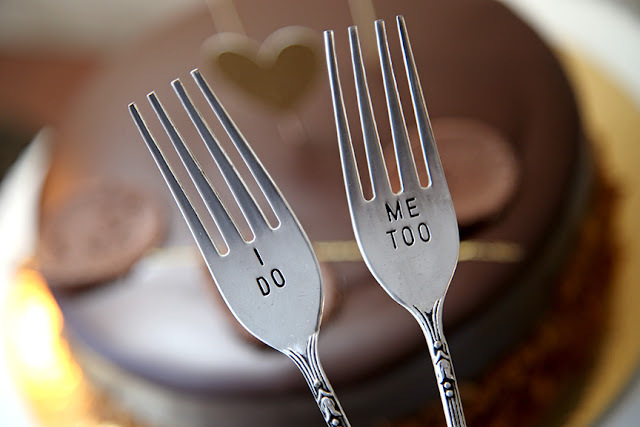 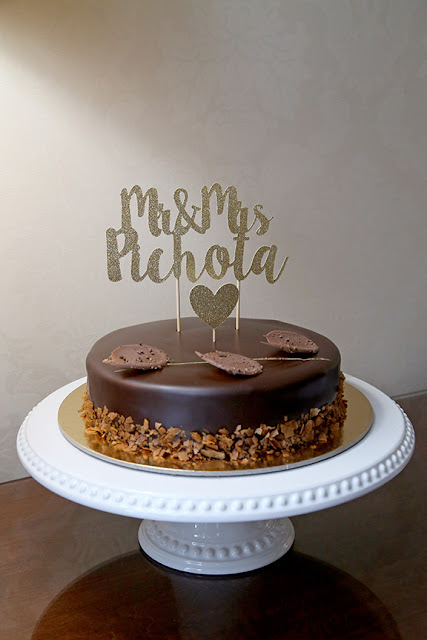 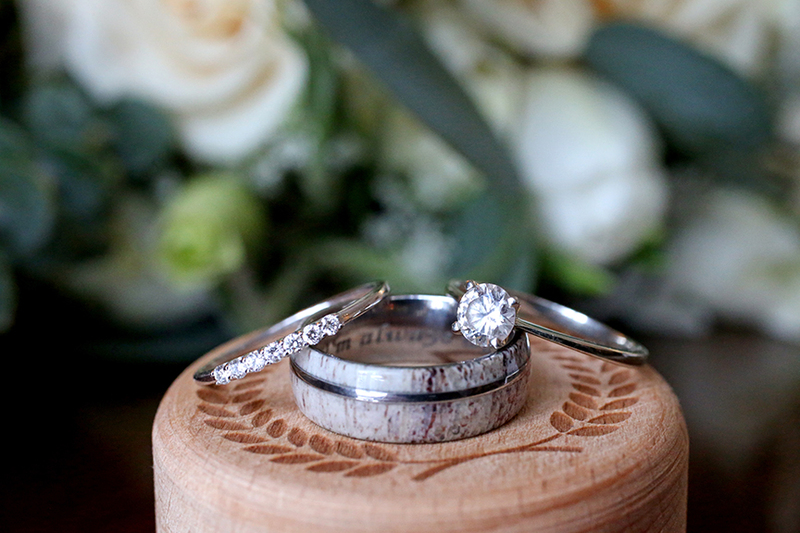 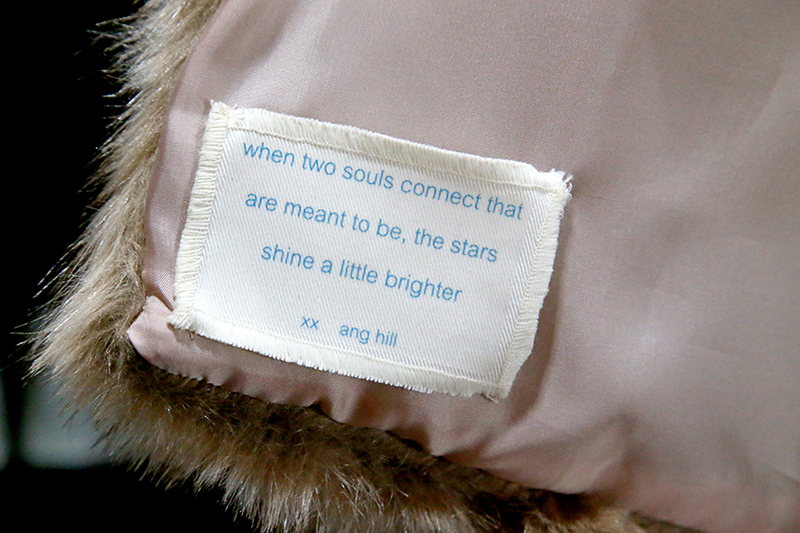 Wishing Amanda & Dylan a lifetime of happiness! 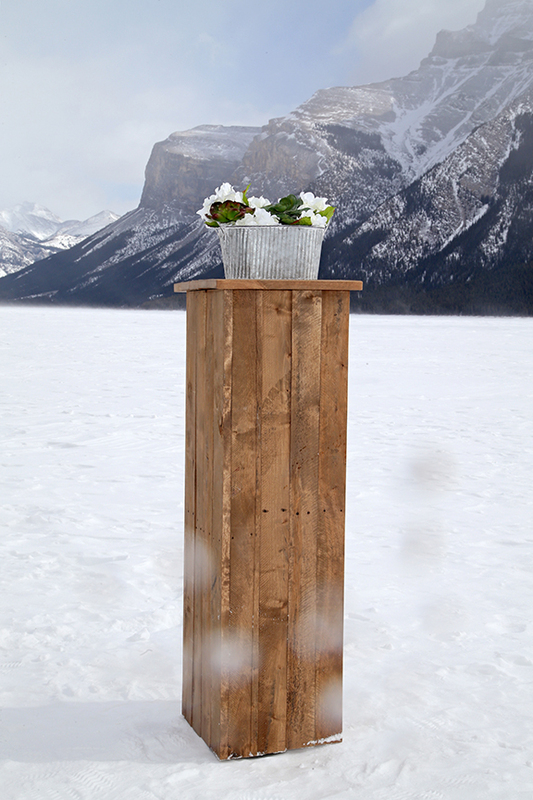 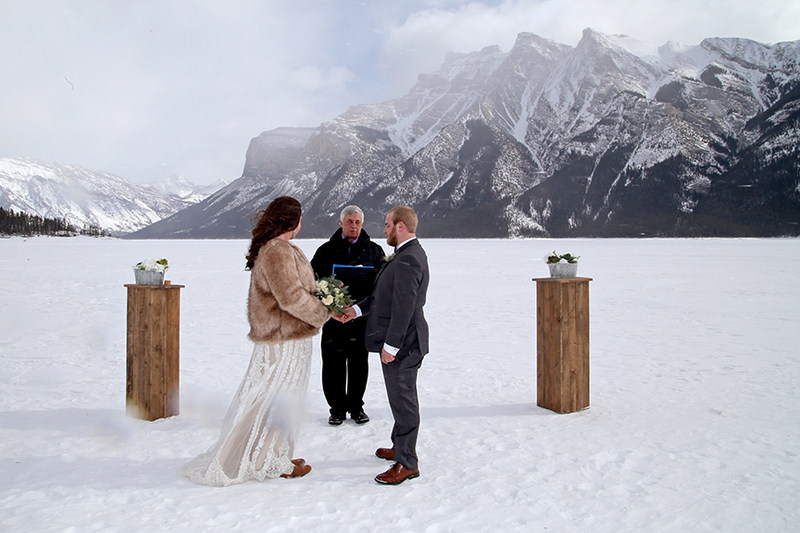 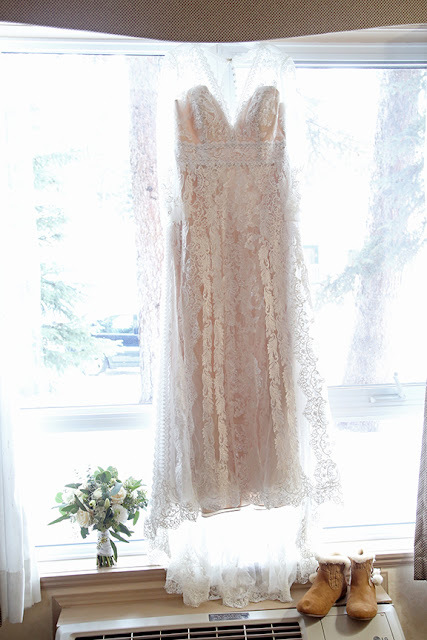 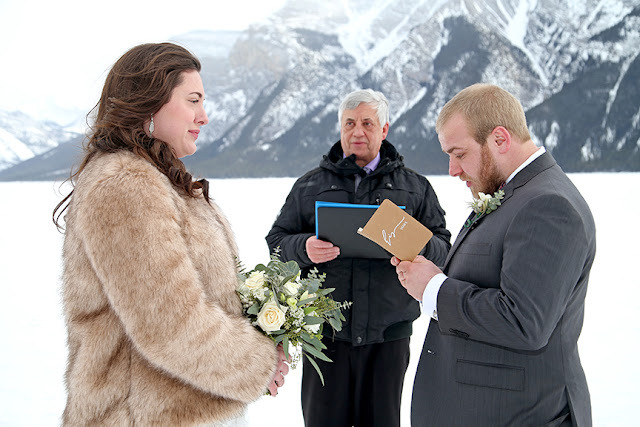 Ceremony location - frozen Lake Minnewannka, Banff, Albert.